Teltumbde has also been directed to appear before the investigating officer of the case on February 14 and 18. New Delhi: The Bombay high court on Monday extended the interim protection granted to scholar Anand Teltumbde from February 11 to February 22 – the date it has set for the next hearing. In case of arrest, the high court added, Teltumbde could be released on bail upon providing a bond of Rs 1 lakh. According to reports, Teltumbde has also been directed to appear before the investigating officer of the case on February 14 and 18. Pune police had arrested Teltumbde on February 2 despite the Supreme Court granting him protection from arrest for four weeks. He was eventually released the same day after a Pune sessions court intervened. On January 14, the Supreme Court of India had refused to quash the FIR filed against Teltumbde, a leading civil rights activist and an Indian Institute of Management-alumnus, for his alleged role as an “urban Naxal”. On February 1, a Pune court declined Teltumbde’s request for anticipatory bail. Though his lawyers said they would be moving the high court, the arresting officers cited the Pune court’s denial of bail as the reason they were taking him into custody. 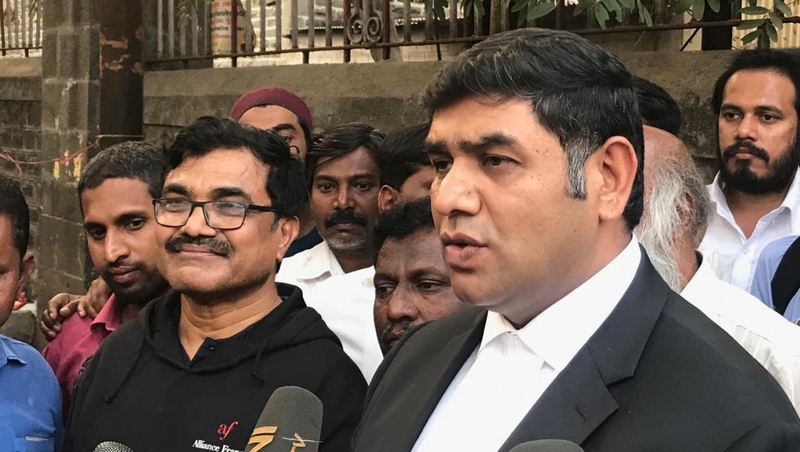 Teltumbde, along with nine other rights activists and lawyers currently in prison, has been booked under two charges – for allegedly plotting to assassinate prime minister Narendra Modi, and for allegedly inciting mob violence on the Dalits who had visited Bhima Koregaon on January 1 last year.